Why carry around a ball and chain, when you can remember matrimony by wearing lighthearted Married Cufflinks. 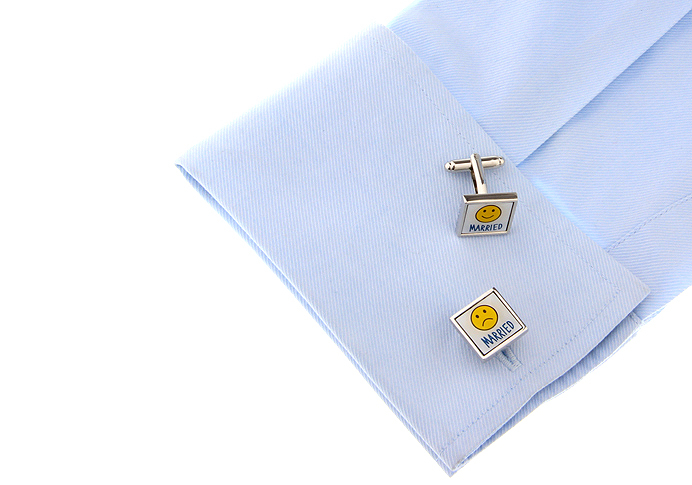 One of the cufflinks presents a happy face, while the other cufflink shows a less than happy happy face. This hilarious tribute to marriage works best for more casual shirts that you wear among the company of your best friends. 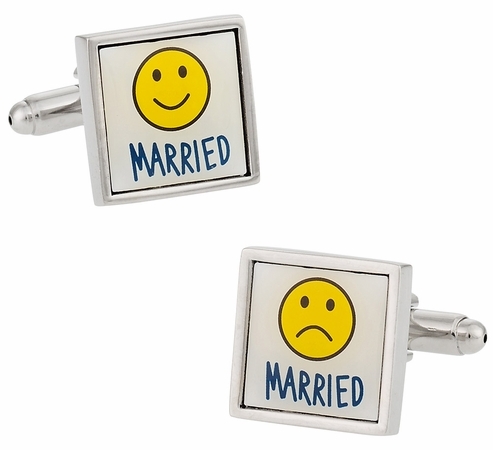 These cufflinks include the word "married" underneath each of the two states of marriage. 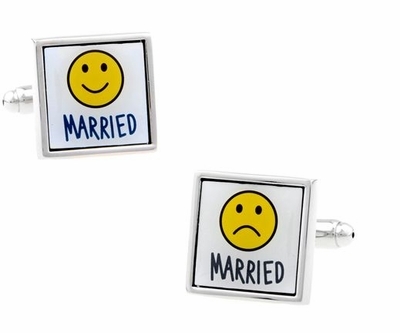 The word "married" is yet another reminder of your vow, "Until death do us part."